Whether you are new to casino games or a seasoned pro, there is always one thing to keep in mind when placing your bets: the house edge. In order to make a profit, the house – or casino to you and me – retains an estimated percentage from every bet placed across the different games. 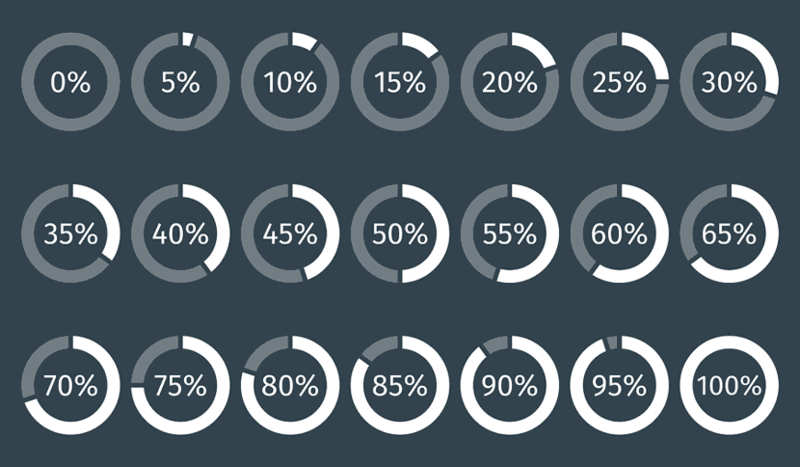 This percentage of what the casino should expect to keep is the house edge (sometimes called the house advantage). It doesn’t matter which casino game you play, the house will always have the edge as the house edge is in place to ensure it makes a long-term profit. So, players have the chance to win big occasionally, but overall the casino takes its percentage whether you win or lose. The house edge is ultimately a calculation that is measured as a percentage. 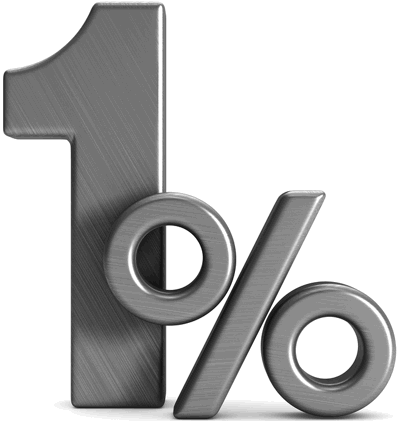 This percentage is based on the difference between the odds of either something happening, so you win, or nothing happening when the bet is placed and the house wins. As these odds vary from game to game because some games carry higher stakes, the house edge also varies from game to game. 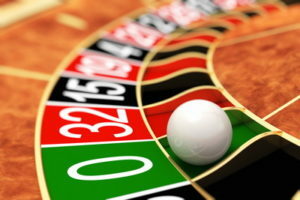 A good way to show you the nitty gritty of house edge percentages is to use roulette as an example. Red or black bets in roulette lead you to believe that you have a 50-50 chance of winning because there are two outcomes from numbers 1 to 36 and the house pays out for evens. 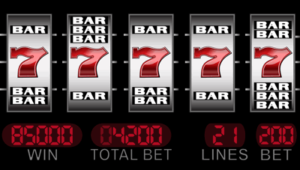 The green zero, the house number, belongs to the dealer and bets that land on 0 belong to the house (unless you bet directly on zero of course). With these outcomes in mind, to find the house edge we deduct the percentage of odds of you winning – which is 18 chances out of 37, or 48.6% when expressed as a percentage – from the odds of the house winning – which is 19 chances out of 37 (because the house also has 0), or 51.4% expressed as a percentage. So, this leaves us with a percentage of 2.8%, and this is the house edge for roulette. But this is only the case for European roulette; it all changes when we look at the American version of the game. The table for American roulette is different and there is a new set of odds to play with. In addition to the single 0, the US version adds a 00 to the wheel, meaning the odds are altered and offering 38 variations instead so that it is now either red, black or neither. This shift was done to benefit the house and means that the house edge on American roulette is almost doubled to 5% and puts you, the player, at more of a disadvantage. To mix things up further, if we look at French roulette, there is a twist and an entirely new set of rules. French roulette follows the same rule as its European counterpart in that it has a single 0, however in this case the rule of La Partage comes into play. The translation of La Partage from the French is ‘the divide’, and a divide is literally what happens when playing this variation of the game. It is important to note before you play French roulette that La Partage only comes into effect for even money bets. This is when bets are placed for high/low, even/odd, or red/black. We explain below the bets where the rule of La Partage doesn’t apply. If the ball lands on the 0 (the house number), the dealer will split all these even bets in half, keeping 50% for the house and returning the other 50% to the player. If you are playing at an offline casino, you may be offered the opportunity to keep your half stake for the next game, but if you are playing online this generally means you will be automatically be refunded. By using La Partage, the house edge itself is halved, significantly reducing it down from 2.8% to 1.35%. So, when you weigh up the three versions of roulette that we’ve covered, the French version is less risky for players when it comes to the house edge. On many French roulette tables, La Partage is automatically offered but it is well worth checking the rules and payouts at the casino you’re playing at before you start playing. Also, this rule is only applicable to the even bets. Column – This is when the numbers are set out in columns and alternate between red and black. 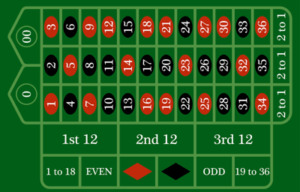 The 0 (or 00 as these types of bets apply to American roulette, too) is green and set out across the top of the two columns of 12. If you are placing a column bet, you can choose to place a bet on all three columns or a single column at a time, but there is no payout if a 0 comes up. Section – The section bets only apply to European and French roulette and split the wheel into three different sections: voisins du zero, orphelins, and tier du cylinder. Voisins du zero – or ‘neighbours of zero’ – is a nine-chip bet that covers the numbers around the 0 and means you need to bet in numbers of nine. It is the largest of the three section bets. Orphelins – is the smallest of the three sections used for section bets and covers just eight numbers. This section is a five-chip bet that is broken up into two parts that separate the voisins du zero and tier du cylinder. This leaves tier du cylinder, 12 numbers at the bottom of the wheel offering a six-chip bet. These are the main two instances where you’ll find La Partage doesn’t apply, but as you play on you may find more obscure betting examples where this is the case. Now you know the maths behind it, it’s time to look at using house edge in real terms. If you are just starting to play online casino games, the house edge can be easily found for the most popular games and this can give you an indication of the games that are good for you to begin with. Generally, the lower the house edge, the lower the risk – although this isn’t always the case and depends very much on the type of game you are playing as you will see when you read on below. French roulette – See above for why this is one of the better options in terms of house edge for when you are first starting out. Remember to play evens though in order for La Partage to apply! Baccarat – Baccarat wants you to bet on either the player, who has a house edge of 1.2%, or the banker, who has a 1% house edge. These are very low house edges to work with, making this a good game for newbies to casino games who are finding their feet. However, a key strategy to keep in mind is to never make the ‘tie’ bet as this comes with a 14.4% edge. There is no need to lose so much to a bet that doesn’t need to be made – especially when you have the option to back the banker, who will win just over half the time. Craps – Limiting yourself to ‘pass’ or ‘come’ bets give you the opportunity to place bets with a basic 1.4% house edge. After one roll, you can then take the odds, and this has a 0% house edge, meaning you have the advantage because taking the odds lowers the odds against you. This strategy will ensure you don’t get sucked into the more exotic bids that can see the edge shoot up to 17%. If you’re a little more advanced and having a run of luck, you can use the edge to inform you of the risk before you part with your pennies. Either way, knowing the edge before you play is essential if you don’t want the casino to take even more of your cash. On a higher level, it can help to drill down into the workings of the game. Digging deeper into how the odds can work for or against you can help you to predict where the big payouts are. Those that are well-versed in casino gaming advise that in order to win, play in small bursts then get out before the casino can take anything from you. By analysing the house edge beforehand, you can gauge how long you need to spend on a game before the stakes are too high. As mentioned above, the house edge differs from game to game. This is because the odds differ and you will find that, some games carry a higher risk than others so you have to be aware before you place your bet. If we are playing blackjack, that’s a different house edge altogether as it is a volatile game that can actually help you devise your strategy. In this game, players only win if their hand beats that of the dealers and the dealer will automatically win all of the bets from the losing players, regardless of whether their own hand is bust or not. Therefore, reducing the edge comes from being able to estimate when to hit and when to stick. Similarly, video poker is based on tactical skill. If you play using the ideal strategy, you are possibly able to have a positive return based on the table. However, it can take years to learn the skills required to play these games well enough to lower the edge. House edge will not always be the lowest number shown in the table above, but it can be; a lot depends on various factors within each game. However, these low house edges are not possible at all with other games. Up to now we have mostly spoken in general terms about the house edge. Now let’s take a look at the details. We have already explored how the house edge varies in the different types of roulette, and this is true across the other casino games. The main detail to note is that this is that not only does the house edge vary from game to game, but it also varies across the different bets within each game. It is important to know which games carry the lowest and highest edge, but it’s important to know the different edges with the games themselves before you get sucked into the gameplay. We have already talked in depth about the differences between the three types of roulette game (European, French and American), but it is worth repeating the main facts here. 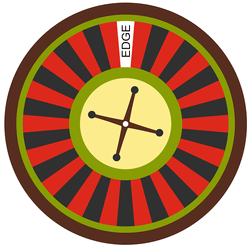 Under the umbrella of roulette, the house edge varies from 1.35% for a game of French roulette, to 2.5% if you play European, and up to the 5% mark when you play American. While it seems like a no-brainer to play the lower edge, there are players out there who enjoy the higher risk of playing where the stakes are high and the house can take more. Also if you happen to be in somewhere like Las Vegas then you won’t have a choice, you will have to play the American version. There are many Baccarat formats and you will find that there are often many side bets that can be made, which is when the house edge is higher. Generally, though, if you follow the basic game you will find you are playing at a lower edge. You are either betting on a player, with a 1.2% house edge, or the banker with a house edge of 1%. 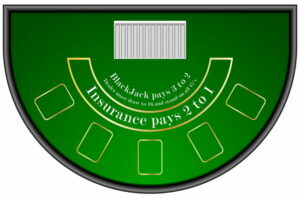 The dealer will produce two cards to the players and two to themselves and the one whose number is closest to or 9 is the winner. Those side bets we mentioned earlier are where it becomes tricky. As is typical of side bets, the house edge shoots up when placing side bets. So, betting a tie in baccarat means you are facing a 14% house edge, while if you bet on a pair you’re looking at a house edge of 10% or 11%, depending on the number of decks in play. The aim of blackjack is to get as close to or on 21 as you can. While this sounds like a very basic premise, the house edge goes up significantly depending upon the version you play. To play a version that delivers a lovely low 0.2% edge, you need to play using the basic blackjack strategy. In this version, your decisions are based on the card that the dealer has faced up and the cards you hold. The awkward part here is that there are many combinations depending upon the different numbers of decks used. It is this variation of decks and the combinations that means that the house edge could go up to 2%. It all depends upon the rules at play. In this version of the game, you have to keep track of the ratio of high versus low cards that have been played. If you work out that there are still high cards to play, you will find that the odds are in your favour and you use this counting strategy to place your bets, increasing the amount you bet. While risky, this method can get you a house edge of up to 2%. But be warned: while card counting isn’t illegal, the casinos don’t like it and if you are caught using this high-risk method you will likely be asked to leave or removed from the site. 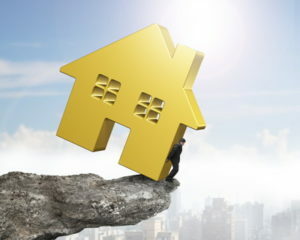 If we are looking at just the house edge, you are better off just following the basic method. Craps is structured around the pass the line bet and players bet by placing their chips on the pass line. Like baccarat, it’s the side bets that see the house edge soar in a game. As mentioned earlier, if you stick to ‘pass’ or ‘come’ bets, you’re on safe ground because you will end up with a basic house edge of 1.4%. If you’ve got a little more experience, you can have a go at betting the ‘don’t’ side of these bets and this will also give you a 1.4% edge. Steer clear of those side bets, otherwise you’ll find yourself at a house edge of anything from 10% to 17%. Like any other high-risk game, these more exotic bets are great when you win but the it is unlikely that will happen. 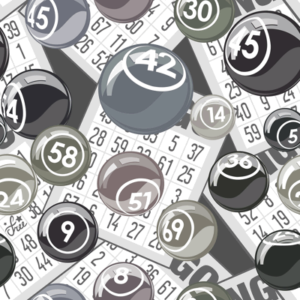 Keno is a basic number lottery game, where players choose numbers and try to match these with the corresponding numbers that appear from a central machine. If the game chooses a number that the player has selected, it is known as a ‘catch’. The more catches, the bigger the payout. The odds aren’t great for this game, and they fluctuate because there are so many numbers and combinations involved. As such, the house edge can be anything from 20% to 35%, making it a very risky bet. The edge can go even higher if you play video keno, going as high as 40%. But the gameplay is fast, making it a speedy way to place some fun bets – you just have to know your limit. There are so many slots to play and generally it is hard to tell what the house edge on these from just looking at each game’s payout. The general rule is the higher the value you play, the better the odds will be, and you will find that the house edge can be anything from 3% to 20%. If we look at Starburst, a NetEnt slot game that appears on a variety of online casino sites, we can work out that, as it has an expected return of 96.1%, it has a house edge of 3.9%. As you play more slots, you will come across other titles regularly, and the range in the edge is based on the available returns from each manufacturer. Therefore, which NetEnt has that return of 96.1% for Starburst, this could be something entirely different for PlayTech. Can the Player Ever Have the Edge? Jackpot games can be found mostly among slots and video poker. These tend to be progressive jackpots that increase every time the game is played. As the house edge is worked out based on the odds and returns, this can make working out the house edge for these types of games complicated. 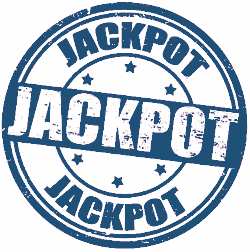 These games can be linked between many different casinos using the same software, so the prize pot grows from the different bets accumulated over a network of casinos. They might pay out millions at a time, and like most casino games, the higher the prize, the lower the house edge. It is rare, but game odds can favour the player. The most common example of this is in video poker, where the royal flush jackpot has become so big that the return from the game outweighs the odds of playing. In cases where the game is a ‘full pay’ option, there is a chance it will pay out 100% and more. In these instances, no house edge exists. Full pay is the term used for the machine with the best payout. There are usually a selection of video poker games to choose from at any one time, but the key to lowering the house edge and knowing where to apply the correct strategies lies in knowing which payouts to look out for. Professional video poker players know that if they play with the perfect strategy, the house edge will disappear altogether. It is rare to find a non-professional at a video poker game where such an edge can be achieved, because a player who uses the right strategy would effectively expect to win more than the wager. Do your research! The casino wants your money and the best way to make sure that doesn’t happen is to really look at the percentages and assess where you can afford to play and what the odds mean for you.